Successfully introduce botulinum toxin(aka Dysport®/Botox®) into your practice with PTIFA's proven clinical protocols. Learn how you can reduce the signs of aging by eliminating fine facial wrinkles and reduce myofascial pain (migraines/headaches/TMD). Level 2 is a comprehensive botulinum toxin course where you will learn the PTIFA Anatomic Landmark Template, the PTIFA Therapeutic & Cosmetic Injection Templates & Techniques, as well as all of the skills required to immediately and successfully integrate treatment into a dental or medical practice. Level 2 includes an online component (8hrs), plus a two-day hands-on session always held in Vancouver, BC. The online portion of the Level 2 course reviews the glabella (in between the eyes), frontalis (forehead lines) and crows feet (beside the eyes). allows practitioners to develop a deep understanding of what botulinum toxin is, how and why it affects facial muscles, as well as how to direct botulinum toxin to purposely achieve aesthetic facial improvements in the upper face. Practitioners will also learn how botulinum toxin is used therapeutically to treat parafunctional habits, TMD, temporal headaches, migraines and oromandibular dystonias. We will address the topic of prevention/interception and review the musculature of the face and neck. Analysis of muscle recruitment will assist us in determining the cause of the many wrinkle presentations and expressions. A review of the aging process will determine the exact location of placement and number of units of botulinum toxin. 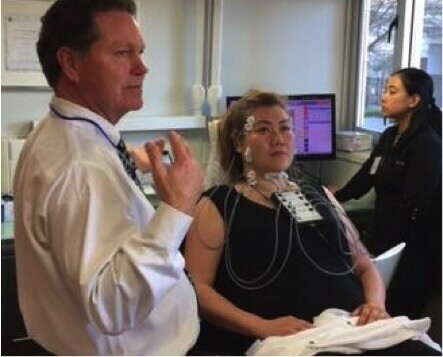 The analysis and differential diagnosis of parafunctional habits, TMD and headache will utilize EMG duotrodes. Practitioners will attend an anatomical and functional cadaver integration. Dr. Roberts provides an in-depth review of anatomy, and relates surfaces features with underlying musculature and bones in this hands-on cadaver lab. Understanding the source, pathways and overlap of the cranial nerves provides the foundation for understanding myofacial pain. The synergy of facial and therapeutic botulinum toxin provides you with a new invaluable myofascial pain treatment modality. As Dr. Roberts reviews muscles on the cadaver, practitioners will practice marking each other. This integrative portion of the cadaver develops confidence prior to the clinical hands-on. The day is completed with a live model demonstration where Dr. Roberts will perform the PTIFA Anatomic Landmark Template, the PTIFA Therapeutic & Cosmetic Injection Templates & Techniques on a live model. Day 2 is an intensive clinical hands-on practicum where you will have the opportunity to inject 10+ patients using the PTIFA Anatomic Landmark Template, the PTIFA Therapeutic & Cosmetic Injection Templates & Techniques. You will have the opportunity to see how a patient is seen from the moment they walk into the clinic, how the necessary medical history and consents are collected on the FACETEC software, what photography is required and how it is stored on FACETEC, the consultation process, treatment (including markings & injection), how the patient is billed, as well as booking the patient’s post-op appointment. Our goal is to provide you with extensive hands-on experience so that you are confident leaving and going back to treat patients within your own practice. Team Members registered for the Level 2 – Team Training course assist practitioners in clinic – receiving one-on-one hands-on photography, reconstitution, loading of the syringe instruction, and more. Day 1: Develop a deep understanding of underlying anatomy as Dr. Roberts relates surfaces features to underlying anatomy in the Integrative Cadaver Lab. Day 1: Develop confidence treatment planning by practicing locating bony & anatomical landmarks using the PTIFA Marking Technique in the Integrative Cadaver Lab. Learn how to achieve predictable results with the PTIFA Marking Technique. Learn how to achieve predictable results with the PTIFA Injection Technique. Day 2: Understand how EMG’s are used for evaluating and recording the electrical activity produced by skeletal muscles and how they can reveal nerve dysfunction, muscle dysfunction or problems with nerve-to-muscle signal transmission. Part of the program offers a separate Level 2 - Team Training course for any non-injector related member of your office (ie: Office Managers, Reception, Medical Assistants, Chair-side Assistants, Hygienists, etc.). This course is held concurrently with the Practitioner's training and is focused on the clinical integration, photography, marketing and more. Practitioners and Team Members both graduate from Level 2 with the knowledge, skills and confidence to perform precision muscular injections with predictable positive results. Practitioners who successfully complete Level 2 are provided with a certificate of completion, as well as the necessary forms and training to successfully incorporate botulinum toxin into their practice. They are also able to register for the online Support Study Club – offering case support and more. Understand how to inject botulinum toxin (aka Dysport®/Botox®) to achieve predictable cosmetic results in the upper face. Understand how to inject botulinum toxin (aka Dysport®/Botox®) to achieve predictable therapeutic results for myofascial pain management (migraines/headaches/TMD/bruxism). 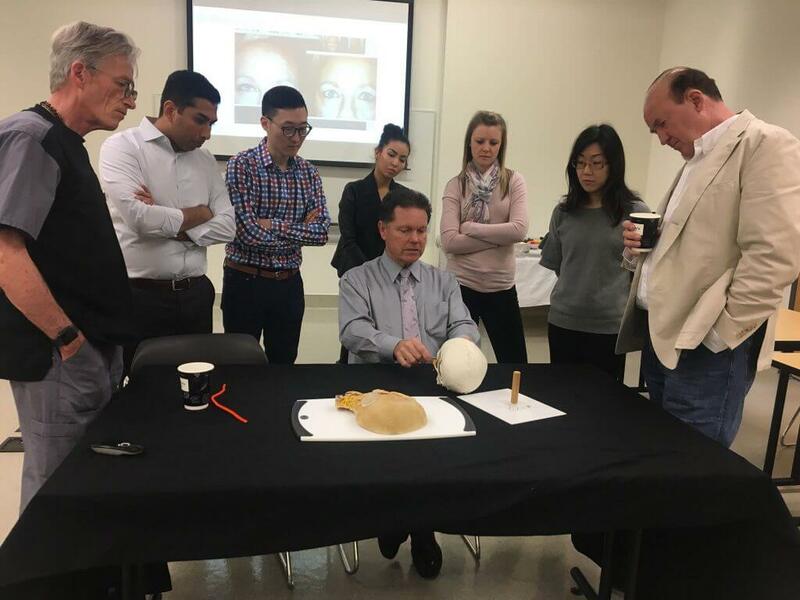 Gain extensive hands-on experience integration/clinical applications marking fellow participants after precise anatomical landmark identification on the skull and cadaver. Develop a deep understanding of how to improve patient care with botulinum toxin – both therapeutically and aesthetically. Level 2 includes an online didactic section (8 hours & exam), followed by a 2-day hands-on session currently offered in Vancouver, BC (16 hours). Upon registration, access to the online Level 2 course materials is provided for one-year. Level 2 includes 24 CE credits upon successful completion of the hands-on session. Level 2 graduates are trained to get the following results. Level 2 graduates are trained to treat the following areas and are able to store, compare and create portfolios using FACETEC software. Please review our Registration Policy prior to registering. When can I register for Level 2? You can register for Level 2 at any time. You do not have to wait until you complete Level 1, prior to registering for Level 2. We recommend that you register for Level 2 as soon as you find course dates that suit your schedule. Level 2 course dates are typically full two months in advance. We recommend registering early to avoid disappointment. Level 1 is pre-requisite for the Level 2 course, however you can register for both Level 1 and Level 2 at the same time. Successful completion of both the online Level 1 and Level 2 exams is required to attend the hands-on Level 2 session. What support is available to me after completing the Level 2 course? Level 2 graduates are encouraged to join the online Botox Study Club. Membership includes case support for your difficult cases, team training videos, access to all research articles and studies, recorded webinars, live hands-on sessions (when offered) and more. 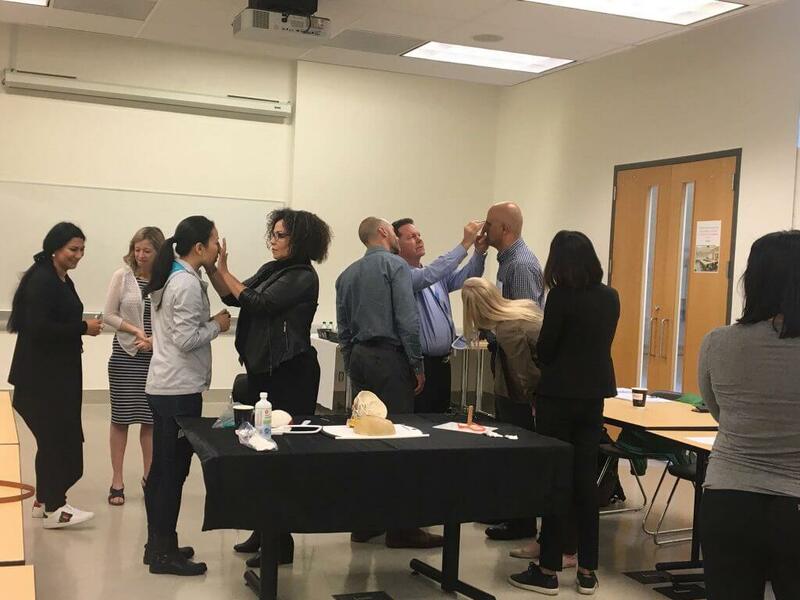 The Level 2 course offers limited seats in an intimate setting of a maximum of four practitioners/students to one Instructor at the Clinical Hands-on. Am I required to bring a patient model? I don’t have one, can I still attend? Each practitioner is required to provide a minimum of one patient model for the clinical hands-on (Day 2). This is so that you can assess the results of treatment back in your own practice two-weeks after the course. Typically your patient model is a Team Member attending the Level 2 – Team portion of the course with you, however it can also be a spouse, friend or patient from your office. Please note that PTIFA does our best to accommodate the clinic for the hands-on portion of the course and maximize the amount of cases and hands-on experience you have. Additional patient models are typically provided by PTIFA, however we cannot guarantee an extensive hands-on experience if practitioners do not provide patient models. Practitioners are only responsible for the fee of the patient model(s) they provided for the course. Fees are due at the time of service and are provided at a professional courtesy of $6/unit). If you are unable to provide a patient model, please contact us at least one month prior to the hands-on session. How many Team Members should I bring for the Level 2 – Team Training course? We find that the practices who cross-train their entire team are the ones who are most successful integrating treatment into their office. Can I purchase botulinum toxin (ie: Botox /Dysport) through PTIFA? PTIFA offers a number of products to integrate treatment back into your office, however we do not sell/distribute botulinum toxin products. Level 2 graduates are provided details on how to order botulinum toxin product. 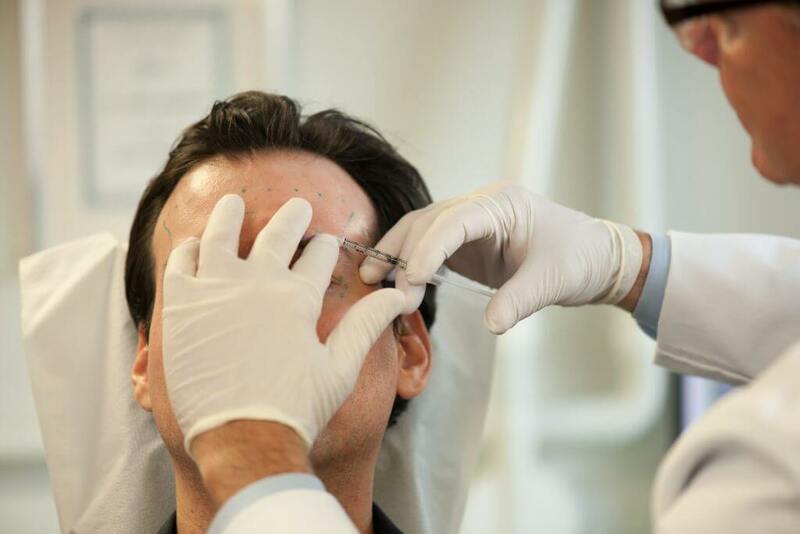 You have created a beautiful template that if the practitioners follow, they can perform Botox® therapy predictably and safely without side affects. Dr. Warren Roberts has developed one of the most comprehensive training courses that I have ever attended. I recommend his course to anyone who wants to learn how to deliver optimal results in their esthetic treatment plans. Achieve little to no negative side effects with PTIFA’s Marking and Injection Techniques and Clinical Protocols. Successfully treatment plan and mark your patients with confidence after attending the integrative Cadaver Lab. Ability to review the online course videos as often as you wish by accessing the didactic materials online. Successfully integrate treatment back into your practice with our proven Clinical Protocols and Level 2 – Team Training course. Fully engage your entire practice Team with the separate Level 2 – Team Training course. Improve patient care with your myofascial pain patients by integrating electromyograph analytics and threshold dosages of therapeutic botulinum toxin. Science-based and practice-based approaches & techniques - our syllabus includes before-and-after cases directly from our Faculty members (and not the pharmaceutical companies). Confidently offer a treatment your patients will love and ask you for! Pre-requisite: Successful completion of Level 1 is required prior to attending the Level 2 hands-on. Please note you may register for Level 1 and Level 2 at the same time. Requirements: A patient model, current copy of your license and malpractice insurance is required. Patient Model: A professional courtesy of $6/unit is charged for each patient model having treatment in the clinic. Practitioners are responsible solely for the patient model they provide at the course. PTIFA is an ADA CERP recognized provider. ADA CERP is a service of the American Dental Association to assist dental professionals in identifying quality providers with continuing dental education. ADA CERP does not approve or endorse individual courses or instructors, nor does it imply acceptance of credit hours by boards of dentistry. PTIFA designates Level 2 for 24 hours of continuing education credits. See upcoming hands-on course dates. View Level 2 - Team Training course details.